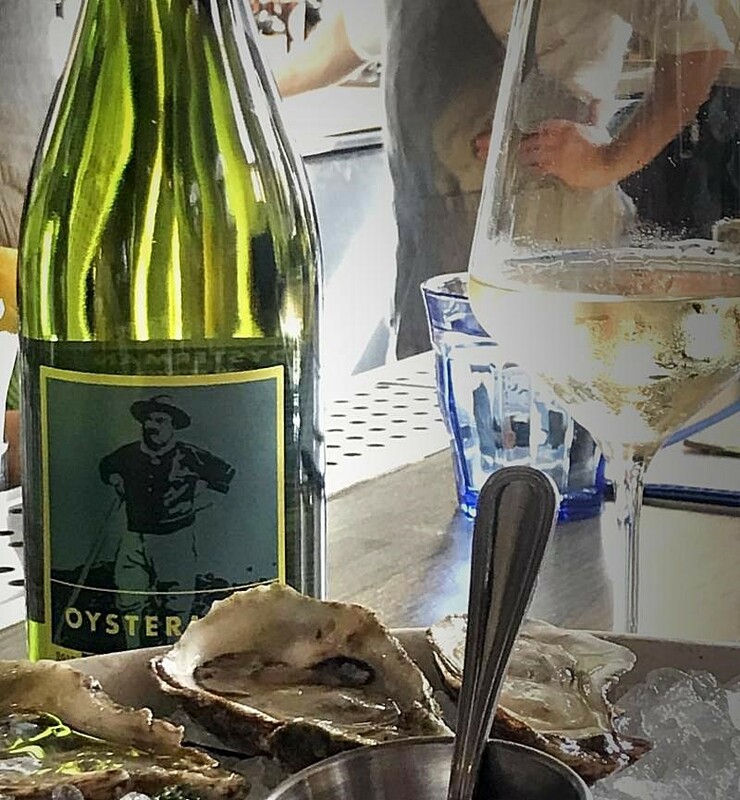 Oysterman Muscadet- Save the Oyster Beds! It's no secret that Muscadet and oysters is a classic wine-and-food pairing, and that it is a particular favorite of the Rollers wine staff! So it is a true pleasure to offer this terrific new wine developed specifically to support the bi-valves while tickling your tastebuds! The story begins in Charleston, where a local entrepreneur named Casey Davidson started Toadfish Outfitters in 2017. Toadfish makes and sells oyster knives, shrimp cleaners and fishing rods, and they are fine products indeed. But what caught the attention of wine importer Frederick Corriher isToadfish's main mission: to use those products to raise money for replenishing the low county oyster reef habitat. "I started the company around the idea of replanting oyster beds, because I knew how important oysters are to water quality," says Davidson. For every product sold, Toadfish can fund the planting of 10 square feet of oyster shells, providing a place for oyster spat to latch onto and grow. Their products are in 500 retail outlets across the country, and have raised $50,000 for oyster replenishment projects. Corriher thought Davidson's story was inspiring and hatched an idea to develop a wine that would support the same mission, and his next trip to France was a search for Muscadet wine in the Loire Valley." In France, winemakers Guy and Jean-Luc Ollivier, agreed to work with Corriher to produce a boutique wine called Oysterman, which is made its debut in Charleston last August and is now available at Rollers! He is also partnering with Toadfish to donate a portion of the proceeds to programs like the South Carolina Department of Natural Resources oyster recycling program. For each case sold, they say the DNR will replant 10 square feet of oyster beds. So, do something good and feel good doing it: pick up a bottle at Rollers today! Newer PostLove or Hate...the Choice is Yours!